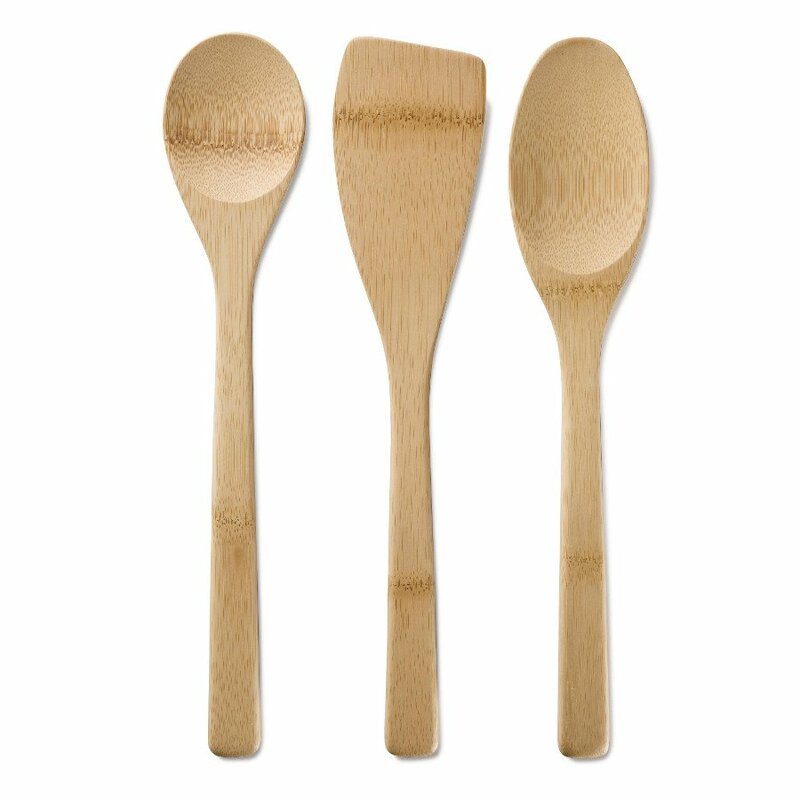 This set of three basic kitchen utensils comprises of an oval spoon, a round spoon and a spatula. Each item is made from organic bamboo, which is sustainable, light and yet very durable. This set was the winner of the 2010 Eco Choice Award – practical, stylish and eco-friendly. Bamboo does not absorb or impart flavours, so these utensils can be used in all sorts of different dishes. If you wash these items by hand and use Bamboo Goo as directed, then they will serve you faithfully without losing their beauty for longer. The Bamboo Kitchen Basics - Set of 3 product ethics are indicated below. To learn more about these product ethics and to see related products, follow the links below. These are wonderfully versatile and good value. I use the spoon for serving and the spatula for cooking. 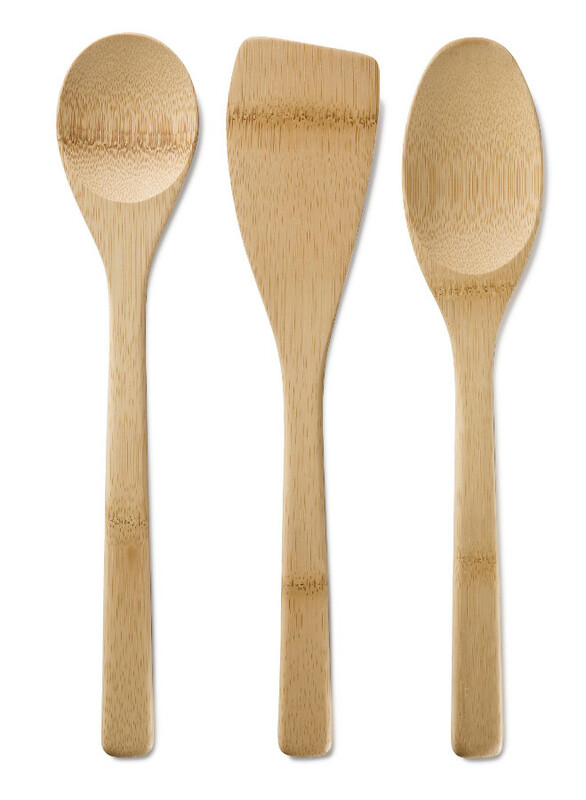 There are currently no questions to display about Bamboo Kitchen Basics - Set of 3.